And guess what? Someone FINALLY LISTENED! Benefit came up recently with Puff off! It is an instant eye gel to help smooth the look of puffiness! And they were quite confident with the product to even include the world: "INSTANT"! Now for more in-depth review and photos! size: 10 mL / 0.34 US fl. oz. Packaging! So unique, cute and easy to tote along! Improvement can be seen even on FIRST usage. The texture of the eye gel is lightweight, gets absorbed into the skin easily. Cooling one every application, soothes the eye area. The "gel" has an iridescent finish thus the undereye area looks more awake! Can be used before and after makeup! 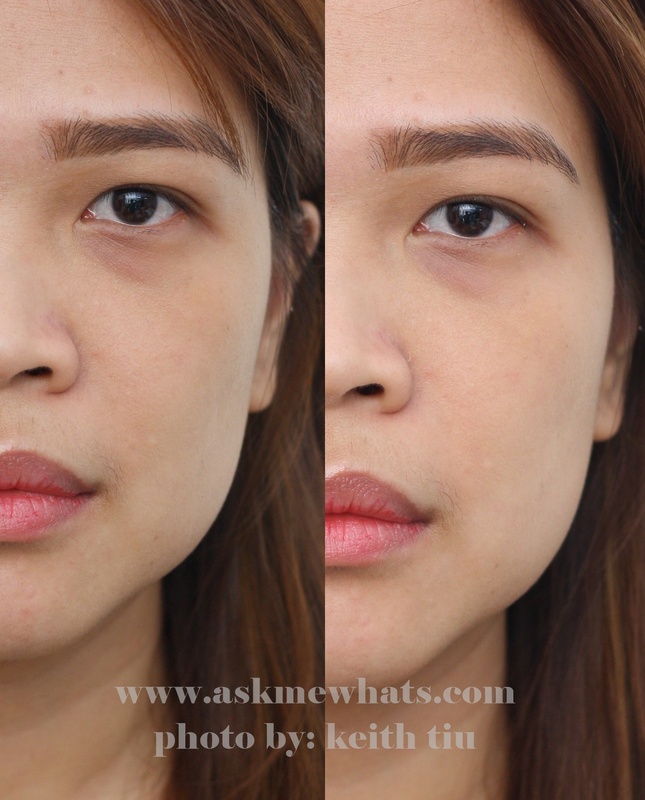 Hydration may not be enough for users with extremely dry undereye area. If you have ageing undereye area, this may not work! Price for the amount of product you get, you can easily finish this product!!! An instant eye de-puffer! You can immediately see how your eyes look more awake after every use. Squeeze once and dot under each eye…then go back and glide on with “ironing” tip. Puff off! works on bare skin or over makeup. 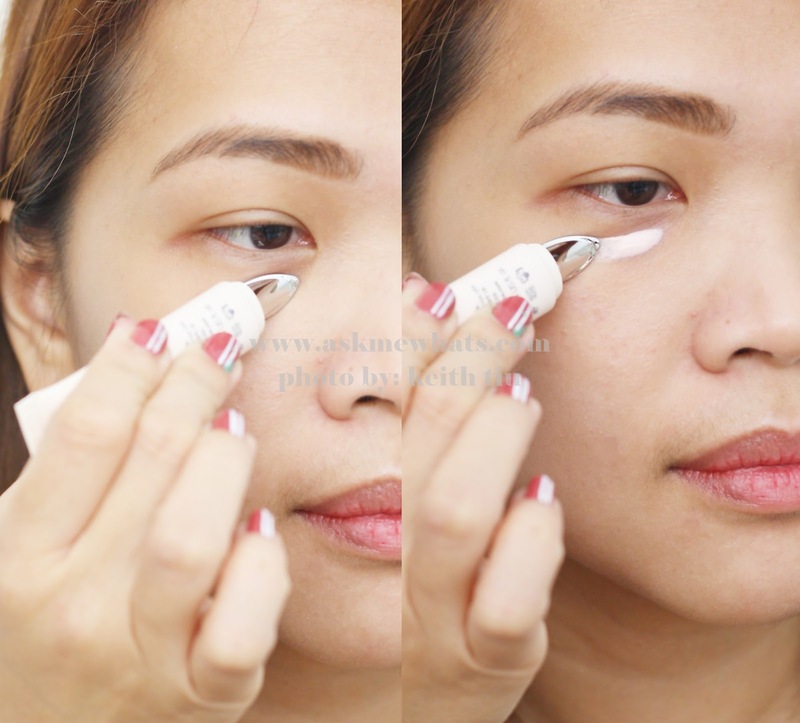 When applying on top of makeup, gently pat with fingertips to blend. for even better cooling session, store this eye gel inside the fridge! Dispense only a small amount on each eye and spread using the "iron tip" in a very gentle manner! If you plan to apply this on top of your made-up face, use "patting motion" to prevent makeup from moving. Wipe off or clean the iron tip after EVERY use. YES!!! I even plan to use this on clients! Users with puffy eyes due to late nights or from crying! Those who were born with puffy eyes may not see this product work as effective as it did on me! The Benefit Puff Off! Instant Eye Gel does not feel like a gel but more of a light cream in texture! It is pinkish in color with a bit of iridescence. I like to press gently under the "puffy" area while I dispense a tiny amount of Puff Off! Instant eye Gel. With the same light hand motion, I gently blend out the "eye gel" with a slow, massaging motion. The photographer Mr. AMW saw an immediate de-puffing effect! I can't seem to see it immediately but I definitely felt the tightening effect without the pain! But, with constant use, I can definitely see a result on how less puffy my eye look in less than a month of usage! How do you feel about Benefit's Puff Off! Instant Eye Gel after seeing my photos? 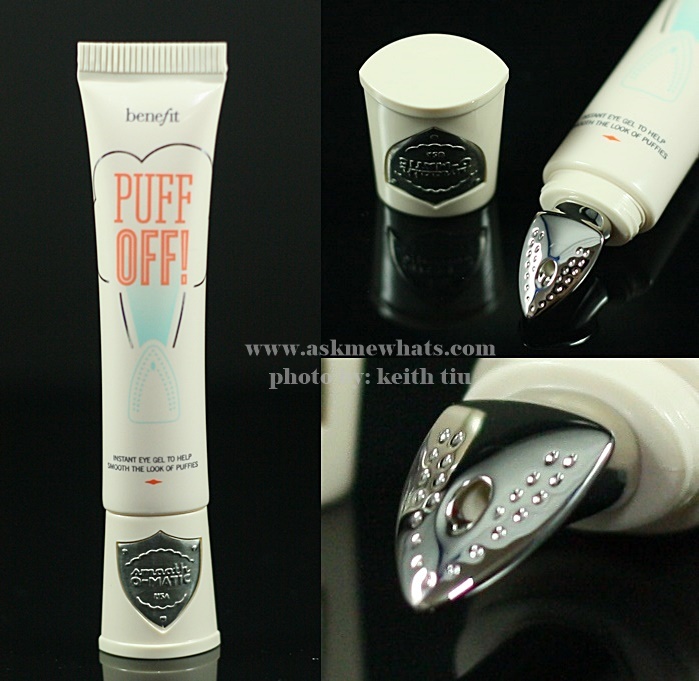 OMG puff off looks magical. Nag flatten talaga yung eyebags mo! Hay nako sis, kung madami lang akong pera sa mundo. Lahat ng makeup na bibilhin ko sa Benefit! yay thanks sis for seeing the difference! alam mo ako pag skincare talagang spend! well..ipon ipon who knows? or try to follow their FB page and Instagram, malay mo may pacontest? I wish pang patagalan yung effect ng ganito :D It looks like magic talaga! sana! I'll see if it stays if I ran out of this product!